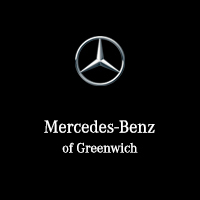 We offer one of the largest selections of new, certified pre-owned, and pre-owned Mercedes-Benz vehicles in New England, with models ranging from the sleek and capable GLA 250 SUV to the luxurious E 300 Sedan. Our two story, 40-car show room is truly a sight to behold, and our brand new pre-owned facility is located just down the street for your perusal. And if you’re interested in the more high-performance side of Mercedes-Benz, our new AMG® center is located right across the street.